Tharwat M. Elshemey, Amir H. Abd-Elrahman. Rapid diagnostic tests are needed to facilitate diagnosis and control of brucellosis. Sero-epidemiology of brucellosis is currently done by employing the Rose Bengal test (RBT). Also the world organization for animal health (OIE) has approved an indirect ELISA for testing serum and milk. The Immuno-Chromatographic brucellosis test (ICT) is a rapid, card-based immunochromatographic test for detection of antibodies directed against B. abortus antigens. To the best of our knowledge, ICT has not been used for the diagnosis of brucellosis in cattle yet. The objective of the study was to evaluate the performance of the ICT brucellosis test for the diagnosis of B. abortus in cattle sera versus RBT and ELISA as a gold standard, Also evaluation of ICT brucellosis test efficacy for detection of antibodies against B. Abortus in milk samples. 94, 90.36 and 84.3% of sera samples were positive by RBT, ICT and ELISA respectively. The ICT had 94.44 % sensitivity and 100 % specificity versus RBT and ELISA as a gold standard. The kappa value between ICT and ELISA was 0.76. Also ICT detected antibodies against B. abortus in serum and milk samples of 7 cows while a recently calved cow showed antibodies in the milk sample only. In conclusion, ICT provides a handy and accurate tool for the rapid detection of antibodies to B. abortus in cattle sera and milk. Alton, G.G., Jones, L.M., Angus, R.D. Verger, J.M. 1988. Techniques for the brucellosis laboratory. Institut	National de la RechercheAgronomique, Paris, France. 81-134. Chandler, J., Gurmin, T. Robinson, N. 2000. &#8220;The Place of Gold in Rapid Tests&#8221;, IVD Technology 6, no. 2: 37-49. Commander, N.J., Vickers, A., Cutler, S., Wren, B. MacMillan, A.P. 2002. DNA based vaccines for protection of man and animals against brucellosis. 55th Annual Brucellosis Research Conference November 9-10, Millennium Hotel St. Louis, MO. Hussein HI. Textbook &#8220;Infectious diseases of domestic animals&#8221; Lazer center publication and distribution, Egypt, Beni-suef. 2005. Lorraine, L.P., John, A.M., Simon, D.B., Judith, A.S. 2005.Evaluation of Competitive ELISA for Detection of Antibodies to Brucella Infection in Domestic Animals. ClinDiagn Lab Immunol. 12(1): 141&#8211;151. Mahmoud AA. 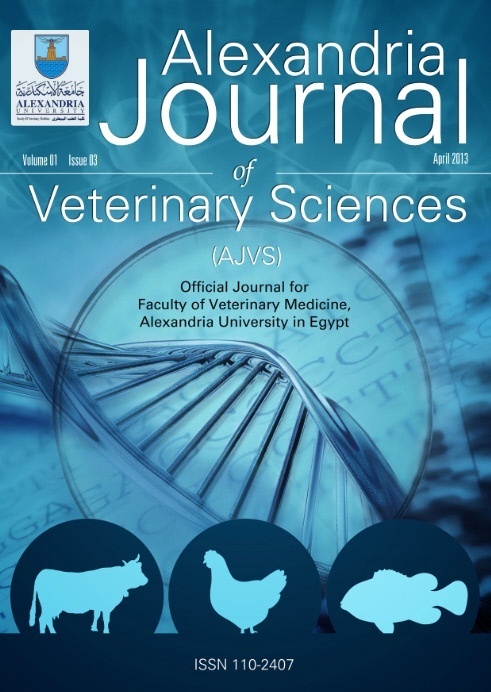 Textbook &#8220;Infectious diseases of domestic animals&#8221; Faculty of Veterinary Medicine, Alexandria University.Egypt, 2012. Munoz, P.M., Marin, C.M., Monreal, D., Gonzalez, D., Garin-Bastuji, B., Mainar-Jaime, R.C., Moriyon, I., Blasco, J.M. 2005. Efficacy of Several Serological Tests and Antigens for Diagnosis of Bovine Brucellosis in the Presence of False-Positive Serological Results Due to Yersinia enterocolitica O:9. Clin. Diagn. Lab. Immunol. 12(1): 141&#8211;151. Rajaii, M., Naghili, B. Pourhassan, A. 2006. Comparison of ELISA and STA tests in diagnosis of Brucellosis. Iranian Journal of Clinical Infectious Diseases 1(3):145-147. Robinson A. (Guidelines for co-ordinated human and animal brucellosis surveillance. FAO Animal production and health paper, 2003, ISSN: 0254- 6019. Sim, J. Wright, C.C. 2005. "The Kappa Statistic in Reliability Studies: Use, Interpretation, and Sample Size Requirements". Physical Therapy 85: 257&#8211;268. StÃ¼renburg, E. Junker, R. 2009. Point-of-Care Testing in Microbiology&#8212;The Advantages and Disadvantages of Immunochromatographic Test Strips. Dtsch. Arztebl. Int. 106(4): 48-54. Int J One Health 2018; 4(): 35. Vet World 2015; 8(4): 492.